Should counselors be involved in the DSM-5 field trials? 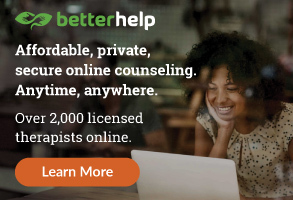 Considering that licensed professional counselors regularly utilize the Diagnostic and Statistical Manual of Mental Disorders (DSM), the logical answer is "yes." More than a decade after the American Psychiatric Association (APA) began developing the fifth edition of the DSM, the field trial stage has begun. Field trials will help evaluate the practical use of the proposed DSM-5 diagnostic criteria in real-world clinical settings. Specifically, the field trials will evaluate the clinical utility and feasibility of draft diagnostic criteria as well as the reliability of the new dimensional and cross-cutting assessments. APA is conducting two versions of field trials. The first version is taking place in academic and large clinical settings, including such well-known institutions as Stanford University, Columbia University/New York State Psychiatric Institute and the Mayo Clinic. The second version will focus on clinicians from solo practices and smaller routine clinical practice settings who volunteer to participate in the field trial. APA plans to randomly select a total of 2,500 clinicians from the volunteer sample. Although the field trials mainly involve psychiatrists, other mental health professionals will also be included. APA chose to include clinicians from related mental health professions so the field trials would reflect the heterogeneity of professionals who use the DSM. Also to be tested are the so-called dimensional assessments, which may be the most drastic proposed change in the DSM-5. Dimensional assessments are five-point rating scales designed to help clinicians evaluate the severity of a client’s symptoms. APA is proposing two types of dimensional assessments. One is a set of cross-cutting items that would be used with almost any client, regardless of the specific disorder. The second type includes specific severity measures that would be used with specific disorders. Both types would be used initially to establish a baseline and later to monitor client progress in treatment. Are the proposed diagnostic criteria and dimensional assessments easy for clinicians to understand and use? Do clinicians find that the proposed diagnostic criteria accurately reflect or capture their clients’ symptom presentations? Are the proposed diagnostic criteria and dimensional assessments useful/helpful to clinicians’ treatment planning? For more information about volunteering to participate in the DSM-5 field trials, visit psych.org/dsm5-rcp-fieldtrials. APA will randomly select 2,500 volunteer clinicians who, in order to participate in the study, will be required to complete a DSM-5 web-based training seminar, complete evaluation questionnaires and follow defined procedures for assessing and diagnosing clients. Counselor participation is vital so our voices can be heard in the DSM-5 development process. K. Dayle Jones is a licensed mental health counselor and associate professor and coordinator of the Mental Health Counseling Program at the University of Central Florida. She served as a member of the American Counseling Association’s DSM Task Force that provided feedback to the American Psychiatric Association on proposed revisions to the DSM-5. Contact her at kjones@mail.ucf.edu. Is the pipeline too full? A few years ago, we might have received a few calls each month at ACA headquarters from members who were having a tough time finding a job. Since that time, the frequency (and desperation) of these calls has increased significantly. For many, the tough economy has resulted in fewer new jobs. 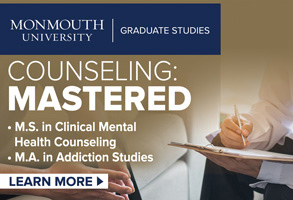 Related to this is the fact that counselor education programs continue to graduate caring, compassionate and dedicated individuals who, after a number of years and thousands of dollars in student loans, simply can’t find gainful employment in the counseling field. The ACA staff and I hear from counselors (new as well as midcareer professionals) willing to relocate and take lower pay just to find positions in which they can impact people’s lives. Unfortunately, although some positions are out there and occupational outlook data suggest counseling is a growing profession with career possibilities, not enough openings currently exist for those who are so eminently qualified. Is there something we can do about this unfortunate situation? Do we need to ask counselor education programs if it is viable, long term, to continue recruiting and graduating more counselors? Or can we impact public policy at local, state and federal levels in ways that would create more jobs for professional counselors? I want to hear from you on this matter. It is critical that we look at this problem and come up with solutions to help these very deserving colleagues of yours. If it was within your power, what would you have government, graduate schools, community agencies and school systems do to address this problem. Let’s begin a national (or even international) discussion about how to create, find and fund more jobs for professional counselors. I am well aware that the old “magic wand” doesn’t work quite as well as it used to, but perhaps if we generate enough discussion, we can begin to network, exchange ideas and create advocacy plans that will open a dialogue with and engage the interest and support of public policymakers, businesspeople and community leaders. It couldn’t hurt to try. We already know the result if we do nothing. Perhaps it is time that we all do what we can to create just one more job for counseling professionals. Think about it. If our 27,000 professional members were successful at doing this for the 17,000 student members in our database, we would still have another 10,000 jobs for other counselors looking to move into new positions. And if those 10,000 moved into new positions, that would create vacancies in the jobs they left. I know this all seems like a pipe dream, but we need to start somewhere, so why not think big? Let’s move this discussion out into the blogosphere, onto e-mail lists and into the general communities in which we live. So much need exists out there, and the counseling profession has so many who wish to work with individuals in need. Don’t we owe it to those entering the profession — and to those midcareer professionals looking to make an even greater impact with clients and students? I think we do, and I sincerely hope to hear from you on this matter. As the calendar year closes out, let me thank all of you who are ACA members. The staff and I wish you a productive, peaceful and fulfilling New Year as we look ahead to 2011. And if you were an ACA member as of Nov. 1, 2010, remember to go online to vote for officers and board members! This year, we hope to significantly increase voter participation because moving the process online makes it easier to vote. To learn pertinent information about the candidates, go to the ACA website at counseling.org or turn to our election section beginning on page 64. No ethical counselor enters the profession and anticipates skipping over or ignoring a group in need of help. But in reality, some client populations aren’t easily reached or don’t readily avail themselves of counseling services. And others are simply overlooked, for one reason or another. To shed light on a few of these underserved groups, Counseling Today asked five American Counseling Association members to share their experiences of actively reaching out to, connecting with and advocating for client populations that too often fly under the radar. At times, Derrick Paladino still gets choked up talking about the prayer he would say nightly while in elementary school. It was a prayer offered by a little boy who desperately wanted to fit in. “I wish I woke up White,” he would pray before going to sleep. At that point, Paladino, whose mother was born in Puerto Rico and whose father was second-generation Italian American, was the only non-White student at his school in a small Connecticut town. Now an assistant professor and chair of the Department of Graduate Studies in Counseling at Rollins College, Paladino says he felt his “differentness” every day at school. The discriminatory remarks he heard from other kids didn’t help. Paladino’s mother, who was religious, would remind him to say his prayers at night. After shutting his eyes and wishing to look a little more like his father and everyone else at school, Paladino would wake up each morning and walk to an oval mirror in the hallway. “I would look, and I wouldn’t be White, and I would feel the disappointment,” says Paladino, coauthor with Richard Henriksen Jr. of Counseling Multiple Heritage Individuals, Couples and Families, which is published by ACA. Even when he entered college at the University of Florida, Paladino didn’t feel like he fit in anywhere. He received invitations to join Latino student groups but felt like a fraud because he didn’t speak Spanish fluently. “I wasn’t whole of anything,” he says. People identify themselves differently, says Paladino, who explains that while he might identify as biracial, others might identify as multiple heritage. The concept goes beyond race to include culture and religion as well, he says. The 2000 Census was the first to allow respondents to check off more than one race, and Paladino says the response was significant — more than 6.8 million people identified as multiracial. In 2009, Paladino created a student group to actively address these needs on the Rollins campus. Named the Multiethnic Student Society by the students, the group provides a space for its roughly 15 members to have conversations and share details about their cultures. The group has also sponsored campus panels on the topics of interfaith and interracial couples. Paladino hopes the group’s work at the college will reach those who need support. 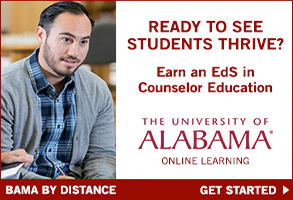 Paladino’s focus is on reaching out to multiracial students on campus and raising awareness of the needs of multiracial individuals among future counselors. He says private practitioners would do well to add the identity topic to their websites, visit community groups such as Swirl (swirlinc.org), which has mixed-race community chapters, and reach out to this population through social media, such as the Facebook pages maintained by multicultural groups. Counselor educators should be deliberate about addressing this population when teaching multicultural classes and consider bringing in guest speakers, he adds. ACA offers a free Multiracial/Multiethnic Counseling Concerns Interest Network for interested members. The facilitator is Kelley Kenney (kelleyrkenney@comcast.net). 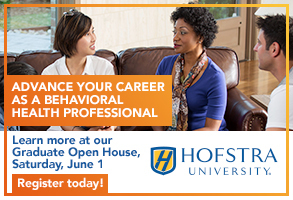 To join the interest network, e-mail Holly Clubb at ACA at hclubb@counseling.org. Plain and simple, too few mental health counselors are available in Appalachian communities, says Kathryn Russ, assistant professor and regional academic director in the School of Professional Counseling at Lindsey Wilson College (LWC). But Russ and LWC are aiming to change that — one well-educated counselor at a time. While earning her doctorate at the University of Cincinnati, Russ completed an internship at a community clinic in Appalachia, a cultural region that runs along the central and southern portions of the Appalachian Mountains, stretching from southern New York to northern Alabama, Mississippi and Georgia. She developed a passion for the culture and became intrigued by what worked — and what didn’t — when it came to delivering counseling services in Appalachian communities. About four years ago, she was drawn to LWC mainly because of its strong Appalachian student culture and its initiative to partner with local community colleges to offer a two-year master’s program in mental health counseling. Counselors stand the best chance of making a difference in these tight-knit communities by simply placing themselves there, getting involved in the life of the community and actively reaching out, Russ says. “Word of mouth is very important. 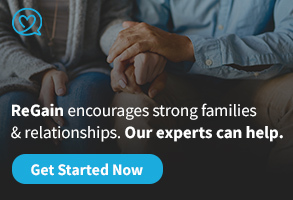 If the client knows of the counselor, has family that knows the therapist, or if they hear about the counselor through their church community, for example, the client is much more likely to seek professional help if the need arises. This means that counselors cannot just sit in their office waiting for people to come in.” To begin establishing bonds with the people of Appalachia, Russ recommends that counselors volunteer in the community, give talks at community gatherings or attend social gatherings at local churches. Another key to helping, Russ says, is to train local people to become counselors because they’re already part of the community’s kinship circle. A few years ago, Russ decided to investigate the most effective ways for students and counselors to work within the Appalachian culture. Many of her findings emerged from observations made at a community counseling clinic in Ashland, Ky., but Russ also worked with other LWC faculty members and spoke with former clients who had chosen not to return to LWC clinics as well as those who decided to continue therapy. From that research, she developed a bullet list of advice. Among her tips for counselors: Active listening is very important; try to see the client’s perspective; include family, community and church in interventions whenever possible. Every year for the past four years, David Hof, an associate professor in the Counseling and School Psychology Department at the University of Nebraska at Kearney, has taken a group of students to the Pine Ridge Reservation in the southwest corner of South Dakota. Hof and his students don’t go with the intent of scheduling one-hour sessions or diagnosing tribe members with mental disorders. They go with the goal of developing relationships with the people on the reservation, normalizing the concept of counseling and teaching the graduate students about Native American culture. The hope is that the experience will help the counselors-in-training to develop into culturally aware and culturally effective care providers. The eighth-largest reservation in the nation, Pine Ridge, which is home to the Oglala Lakota tribe, is also the poorest. Hof calls the reservation’s inhabitants “one of the most underserved, oppressed populations in the U.S.” To back that up, he points to a 2006 article that produced startling statistics: Teenage suicide rates on the reservation are 150 percent higher than the national average, infant mortality is 300 percent higher than the national average, the school dropout rate exceeds 70 percent, and more than half of the reservation’s adults battle addiction and disease. Hof, who also works in private practice and is a past chair of ACA’s Midwest Region, had what he calls a mainly Caucasian Midwest upbringing. But he developed a friendship with a fellow master’s student from Pine Ridge and then went on to complete an internship at a reservation in Minnesota while earning his doctorate from the University of South Dakota. When he arrived at the University of Nebraska at Kearney 12 years ago, Hof quickly realized exposing counseling students to Native American culture would be beneficial. So each August, Hof’s student group heads to Pine Ridge for a little less than a week. They stay on the reservation with Dallas Chief Eagle, a storyteller, touring artist and director of the Hoop Dance Academy. What’s most important, Dallas Chief Eagle tells Hof, is that the students come, listen, learn about the culture and then share that increased understanding with others. On the most recent visit, Hof and the students participated in a three-and-a-half-hour sweat lodge ceremony. The reservation’s leaders don’t want the students to come as tourists, Hof says, but rather to participate in the rituals so they gain a deeper understanding of the community’s culture. Hof’s hope is that some of the counseling students who take part in the trips will develop a passion for the culture and one day choose to provide services on the reservation as a career. But even for those who go on to work elsewhere, the trips provide a greater understanding of the culture and should partially equip them to more effectively treat Native American clients in various settings, Hof says. While on the reservation, Hof and his students try to demystify the concept of counseling and refine it so that it will be more culturally acceptable to the people of Pine Ridge. One of the most frequent complaints his groups hear is that the mental health field is driven by diagnosis, Hof says. If a client explains that he’s hearing his ancestors talk to him, a counselor unfamiliar with Native American culture might think the client is delusional, on drugs or making up stories. Counselors must allow space for Native American clients to share their feelings and experiences without feeling judged, Hof emphasizes. Thanks to his own identity development process and a strong interest in multicultural issues, Shepler developed a passion for learning more about counseling dual-minority clients — those who claim both racial/ethnic and sexual minority membership status. “My experience working with clients had made it apparent that people do not only see themselves as one demographic label but instead switch seamlessly between different facets of their identities throughout counseling sessions,” says Shepler, who counsels clients at three locations and teaches an undergraduate sexuality course at Ball State. To reach out to this group, Shepler started a safe place for gay/lesbian/bisexual/transgender/queer (GLBTQ) students at Earlham University, where he is completing an external practicum. He contacted the leaders of a GLBTQ campus organization to find out what counseling services might be of use, and they allowed Shepler access to their electronic mailing list. The eventual result was the formation of a GLBTQ discussion and support group. Creating a college-going culture is one focus of a grant that AT&T awarded Mudge and her colleague Patricia Henderson to improve counseling services for underserved students. AT&T’s original idea behind the $500,000 grant was to provide other types of counselors to schools in addition to the already existing pool of school counselors. Mudge, who won the grant while working at Our Lady of the Lake University, had a different idea. Because school counselors are trained as professional counselors, the schools didn’t need to be fortified with other types of counselors “to do the counseling,” she told AT&T, but the existing school counselors would benefit from receiving additional support. AT&T agreed, and the mission evolved into designing four years of a comprehensive developmental guidance program aimed at underserved students. The curriculums would then be taught to school counselors over four consecutive summers. A fifth summer would equip counselors in the program to go out and train other counselors in their districts. Three high schools in San Antonio — two in the Northside Independent School District and one in the San Antonio Independent School District — were selected to be part of the program. These schools include a high percentage of free- and reduced-lunch students, many of whom would be the first in their families to attend college. “We picked the neediest schools,” says Mudge, who spent 25 years as a teacher and school counselor. School counselors from the three high schools aren’t the only ones receiving training. Part of the grant provides scholarships for graduate students who want to train to become school counselors, and priority is given to teachers within these participating schools, says Mudge, who explains that two years of teaching are required to become a school counselor in Texas. The objective of the grant and summer training, Mudge says, is four-pronged: improving services to students, increasing resources for school counselors, assisting with the development of the professional school counselor identity and assisting with program implementation. In addition to summer training sessions, meetings are held during the year to discuss progress, needs and concerns. Mudge and Henderson also visit the schools throughout the year. The first summer session kicked off in 2009 with about 20 counselors and counselors-in-training, and the focus was on creating a guidance curriculum for freshman students. “Counselors are taught how to align the guidance lessons with guidance content, academic standards and college and career readiness standards, while focusing on equity and access issues surrounding postsecondary opportunities for underserved/underrepresented students,” Mudge says. This past summer’s session added a focus on responsive services and emphasized small-group counseling and remediation of developmental skills that the students needed, Mudge says. Future summers will add developmentally appropriate sessions designed by participating counselors for high school juniors and seniors, while guidance lessons and individualized student planning will continue to emphasize college and career readiness and postsecondary planning, Mudge says. The school counselors aren’t given exact, word-by-word curriculums to follow throughout the year. Instead, Mudge says, the program teaches the counselors how to develop the material on the basis of each school’s specific needs. In more affluent school districts, students are more likely to receive counseling services privately when needed, Mudge says. But in lower-income areas such as the ones this grant is focusing on, school counselors might be the only available option for students. “So it’s important that school counselors provide the best services they can because they might be the only services that student ever receives,” she says. Part of serving these families means recognizing that upbringing and providing options, says Mudge, who is in the process of planning college and career information sessions for students’ families at the three high schools. “The choice comes through education,” she says. “The family can be educated along with the students.” That might mean showing comparative salaries for high school-educated versus college-educated graduates and explaining scholarship and financial aid options, she says. It’s also vitally important to have an open-door policy, Mudge says. “The best way is to know the community in which you live and to have opportunities for families to come on your [high-school] campus to talk about what their concerns are and then address those concerns.” For example, if a student’s parents say they can’t afford to send their child to college, talk about financial options. If they’re worried their child won’t be safe, Mudge might recommend that the family visit the college campus and look at police reports. Whatever the situation, school counselors should discuss the vision parents have for their child and the best avenue to follow to turn that vision into reality, Mudge says. When I heard this month’s cover story would focus on the topic of underserved populations, I started pondering possible reasons that some populations remain underserved. Is it due to a lack of funding? Is it because they are not aware of the services available to them? Is it possible that we, as counselors, tend to overlook them for some reason and fail to focus attention on them as we should? I am not sure what the ultimate reason is for this predicament. In deciding to become counselors, most of us understood that this profession centers around the concept of service. Our jobs are about enabling our students and our clients to develop good problem-solving skills and empowering them to solve their own problems. Basically, we work ourselves out of a job. So how could we be missing (or underserving) certain populations or groups? Then a light went off in my head, and I thought about how I became a counselor in the first place. You see, I was supposed to be a “real” doctor. You know, the one with an M.D. instead of a Ph.D. I graduated from high school when I was 16 and was ready to enter college as a freshman majoring in biology and chemistry. The problem was I had not been advised to take the courses I needed to take in high school to be successful as a science major. My high school counselors thought that because I could “speak so well,” I needed to be in an honors program for humanities, not a science-based program. Well, fast forward and, needless to say, organic chemistry was my personal undoing in college. I was not used to failing. I was the smart one, the cute one and, yes, I could usually talk my way out of any problem or issue. This was not the case with my organic chemistry instructor, however, especially since I could not understand half of what he was saying because of his international accent. By the time I started to grasp some of his words, it was too late. When the quarter was over, I received the dreaded D! How would I explain this to my family, who took up a community collection so I could go off to school in the first place? Well, I marched over to speak with the academic adviser to see what help I might receive to get out of my predicament — and walked away even more confused. The word on the street was that if you wanted to graduate on time, you needed to stay away from the counselor’s (academic adviser’s) office. They would mess you up. But how could that be? Wasn’t it their job to provide you with the best service? Were they overworked? Were they unhappy in their jobs? Was the university not paying enough to get the most qualified people to perform the job? Again, more questions with unsatisfactory answers. I came to a crossroads. Should I continue to struggle in my chemistry classes or graduate on time with a degree in psychology and history? I just happened to have enough courses to pursue that route, and I could still make my family proud that I had a degree! Well, as they say, the rest is history. I took the so-called “easy” road (due to a lot of reasons that I can share with you later, if interested), but it led me to where I am today, with an overwhelming desire to make a difference and to change the way we serve certain groups of people. I recently saw a very provocative documentary called Waiting for Superman. Whether or not you agree with the premise of the documentary, you walk away thinking about the state of our educational system and what it might really take to make a change. The members of my family are either educators or health professionals. I have children who are educators. I was a teacher myself. I know personally how hard they work to educate our youth, but as a whole, we still seem to be losing this educational battle. Is this another example of students being underserved? What is our role as counselors in the educational system? I don’t like the idea that we are underserving those we have committed to serve. What can we do to make sure we meet their needs? There are no easy answers, but I know you are committed to being the best possible counselor you can be. I’m asking you to survey your work setting to see if you can identify groups that might be underserved. We sometimes get so caught up in doing our jobs that we lose sight of why we started on this career path in the first place. I know you are only one person, but remember the impact you have on the future of all those you serve. You are the most important tool you take into the counseling session. You are that change agent. You are the one who can make the difference, just as you have already done so many times in the past.